Lloyds Bank sold a LOT of it’s business customers these products and in very many cases they mis-sold it. 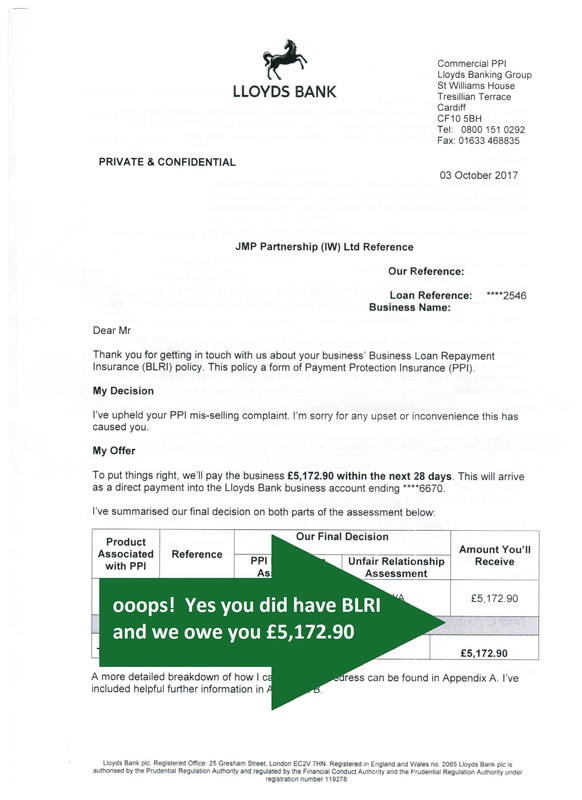 It’s important to understand that CORI and BLRI are essentially just PPI by another name and the acronyms are unique to Lloyds Bank. 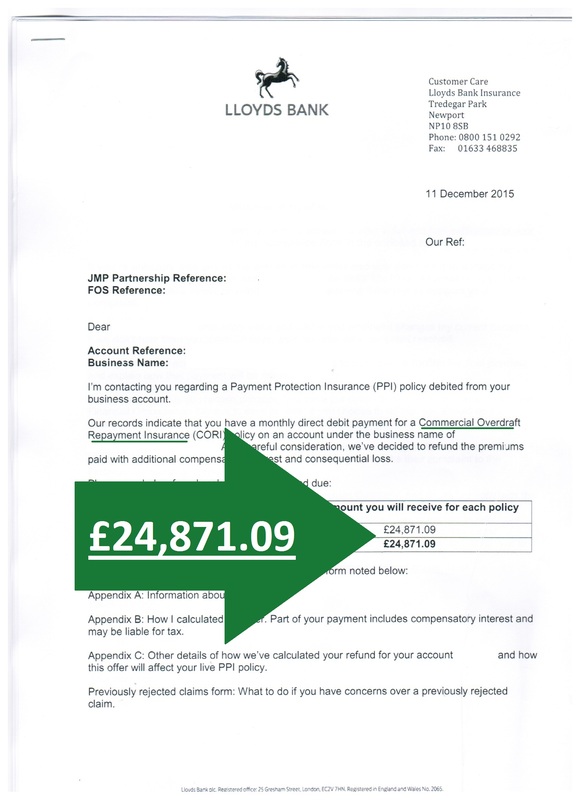 CORI premiums would have appeared on your business current account statements every month. 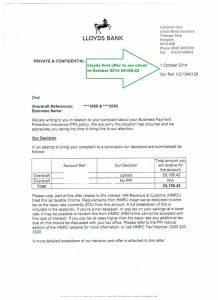 The payment might have said something like L&E (London and Edinburgh) or Norwich Union or even Aviva then typically under that would have been the account number and sort code for the current account they were debiting. That is, in effect, the policy number for the CORI. BLRI premiums were not as easy to spot. 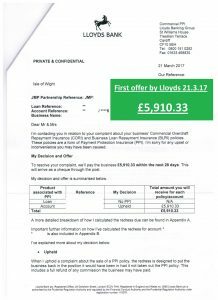 When you took out a business loan with Lloyds, they added the full premium to the amount of the loan. 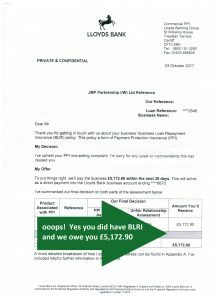 Typically for example a £10,000 business loan might have had a £2000 BLRI premium added, so your loan balance actually started out at £12,000 and you would only have made one payment to the loan each month, a proportion of which was the ‘cash loan’ and a proportion was the BLRI. There are a number of reasons why these policies were mis-sold. We have a very high uphold rate on complaints we make about the sale of these products. Over 95% of the cases we take on result in a full refund of the premiums paid with associated contractual interest and 8% compensatory interest. 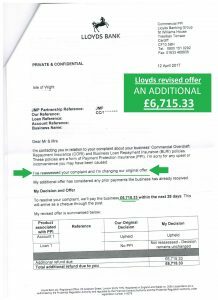 Here is a great example of why it is very difficult to trust Lloyds responses. 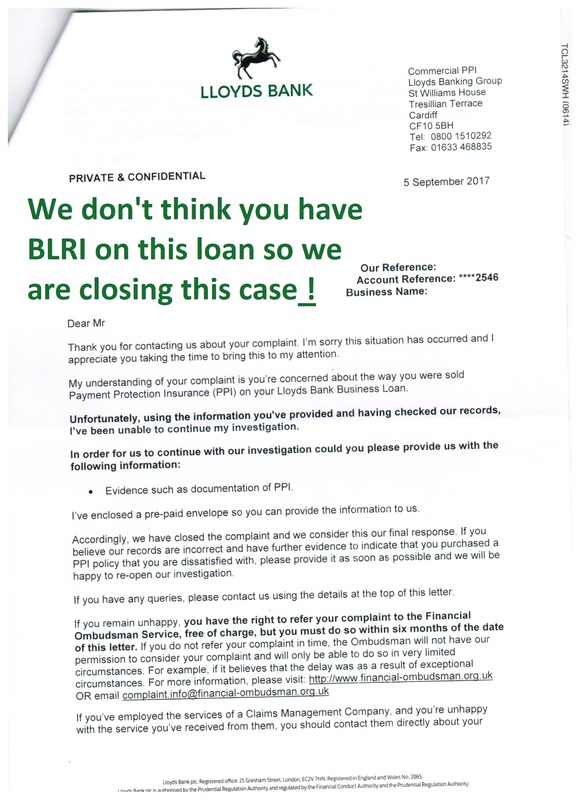 The first letter is basically saying we have no evidence of BLRI being sold on the client’s loan account then a month later, after we have pointed again to the evidence we had already provided, they are offering a refund of over £5000. This same client had been told in 2014 that they hadn’t been sold ANY PPI by Lloyds. 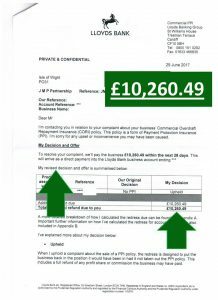 When we investigated his CORI case, they offered £10,260.49. We said that this wasn’t properly calculated. They said that the calculations WERE correct. 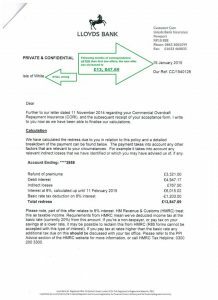 After 6 MONTHS of arguing about the calculations, they paid an additional £23,493.71 and here are BOTH those offer letters. 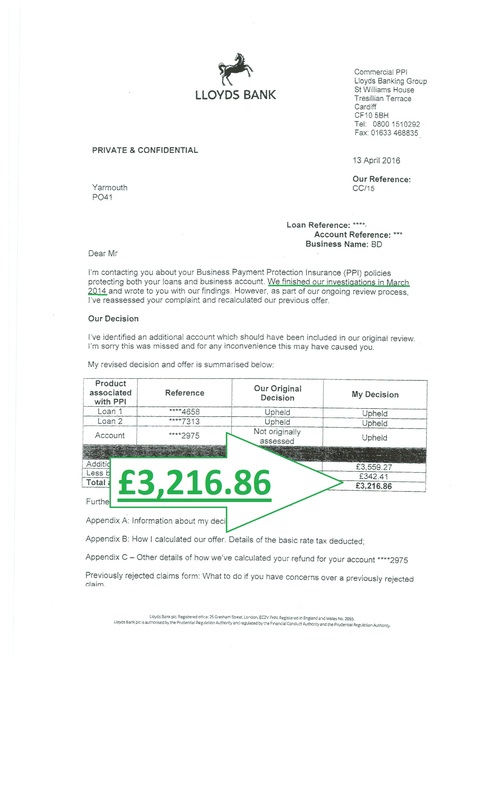 In addition to the £5,172.90 of BLRI and the £33,754.20 of CORI we also got a refund for this client of £3,384.10 on a PBA (Packaged Bank Account) and £8,017.13 in respect of a Personal Accident Policy he was mis-sold. 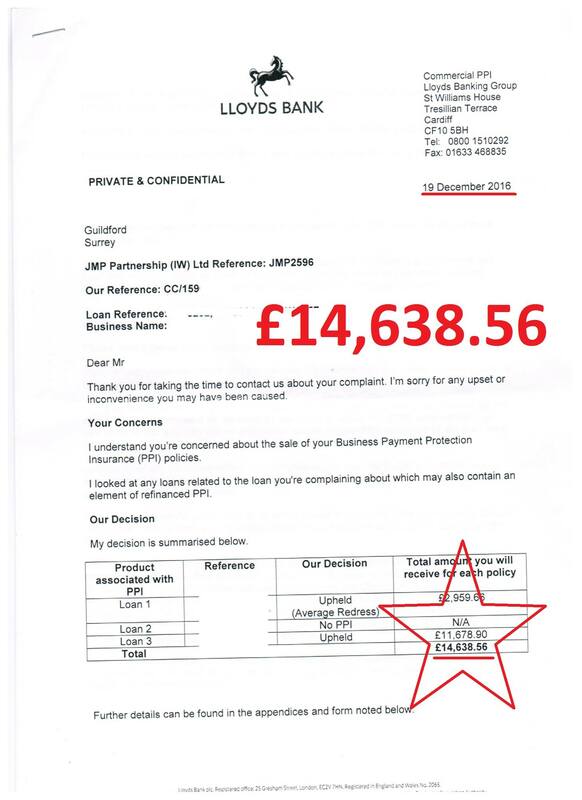 In total, 3 years after being told he wasn’t owed any PPI refund by Lloyds, Mr & Mrs C have received £50,328.33. In many of the recent cases we have been involved with, our clients had already tried to get a refund themselves, only to be told that either the bank had no record of ever selling the business either of these products or that they had been located but the bank concluded that they had not been mis-sold. In several other cases the bank upheld the complaint but then made an offer that was ‘incorrectly calculated’. Here is an example of some cases we have worked on. 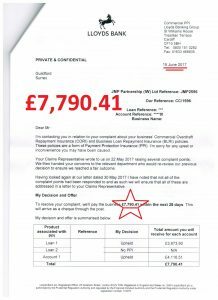 As you can see initially these clients were offered £5,910.33 in March 2017. 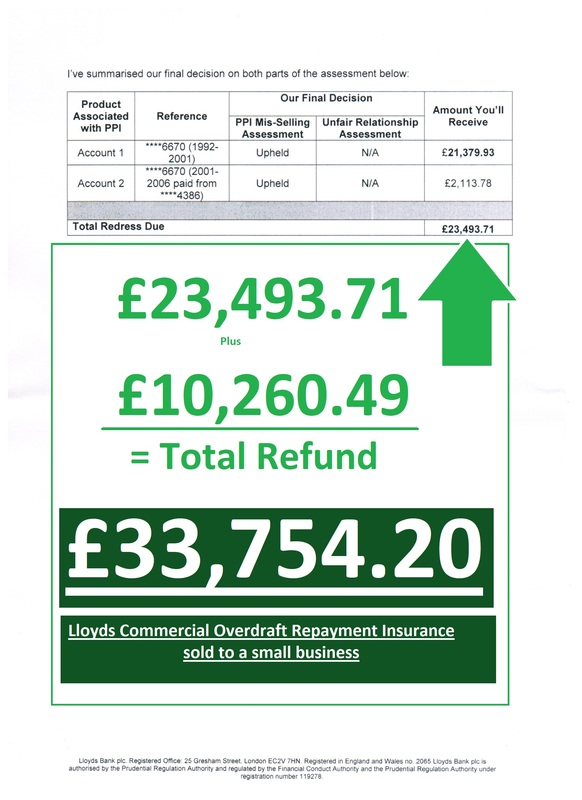 We wrote back to Lloyds and explained that (yet again) they had incorrectly calculated the redress. 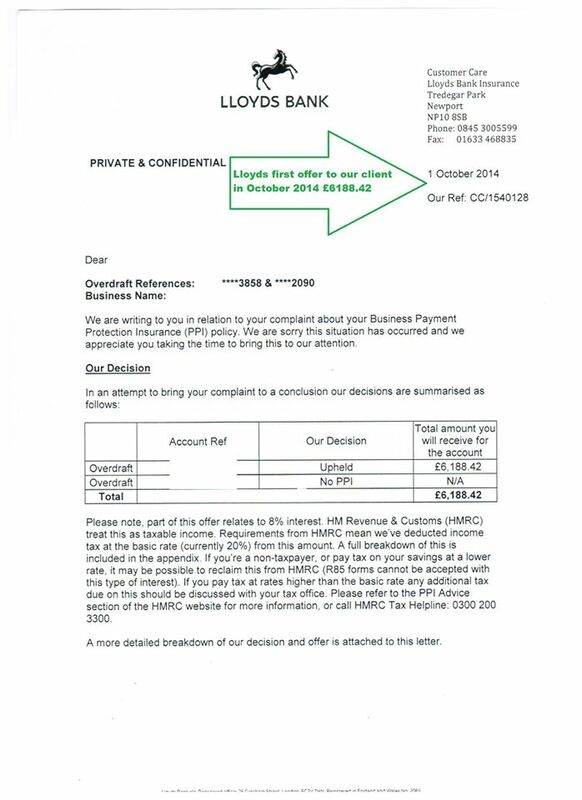 On 12th April they agreed and refunded an ADDITIONAL £6,715.33. 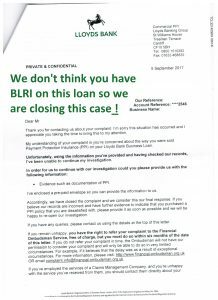 These clients had written to Lloyds in 2013 asking them to investigate if they had been mis-sold BLRI or CORI and the bank said they had no record of ever selling it to them. Here is another where the same thing happened. 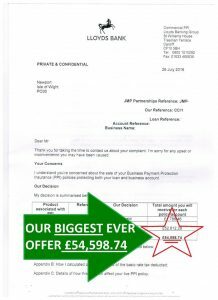 As you can see their first offer was £6,188.42 and after 2 months of us arguing over the appropriate methodology for calculating redress, the offer increases to £13,847.69. 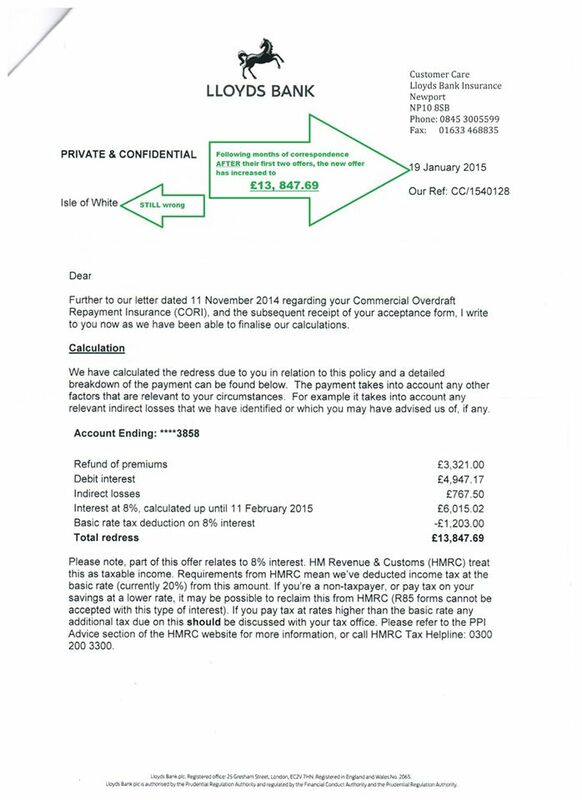 Here is another offer on a CORI case involving a refund of £54,598.74. 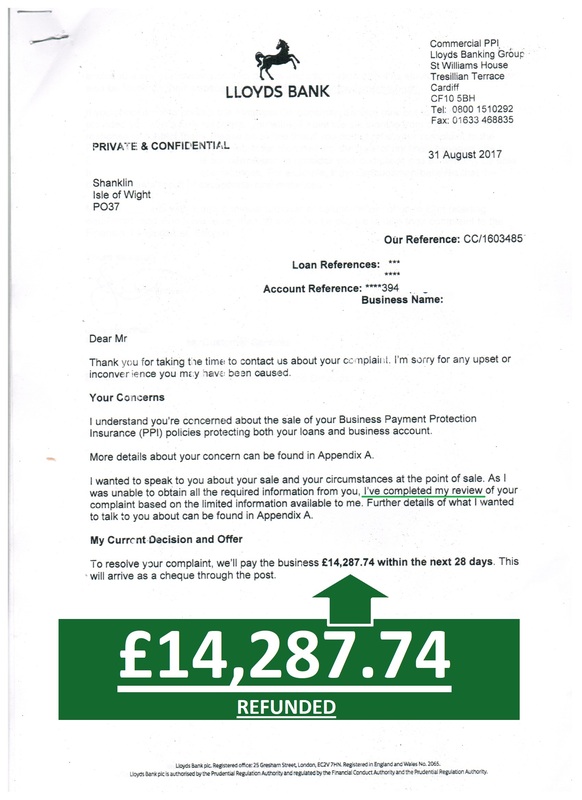 This complaint was initially rejected by Lloyds and had to be escalated to the Financial Ombudsman Service who agreed with us that it should have been upheld. 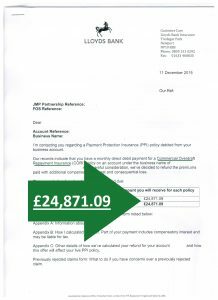 Below is a case involving a £24,000 refund. 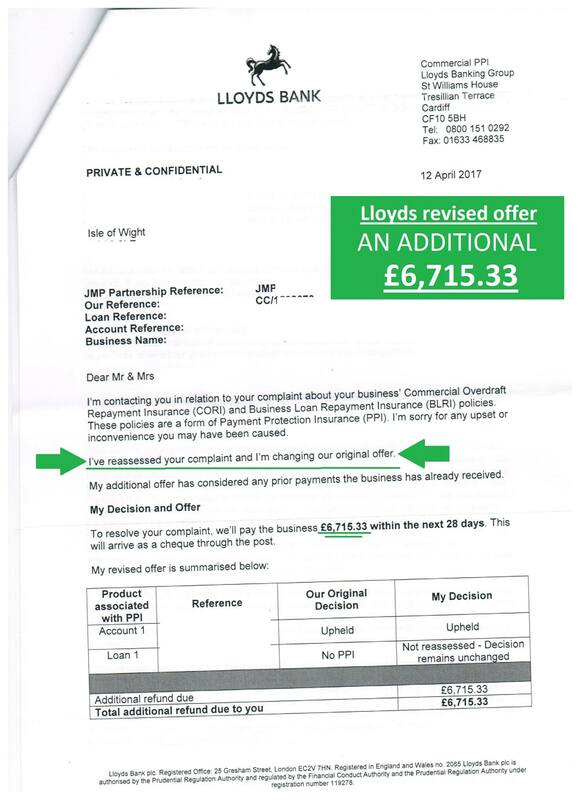 This client’s complaint was rejected by Lloyds and we had to escalate it to the FOS before it was upheld. 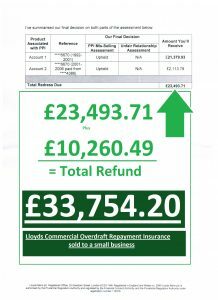 It took 3 years of fighting with Lloyds to get this client this refund! 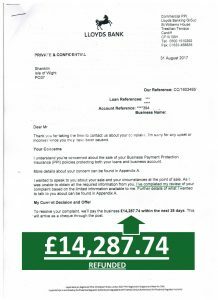 The case below, as you can see, started with an offer to our client of £14,638.56 in December 2016. We were convinced that the sum offered did not fully reflect the redress the client was owed and it took a further 6 months of correspondence before Lloyds agreed and paid a further £7,790.41. 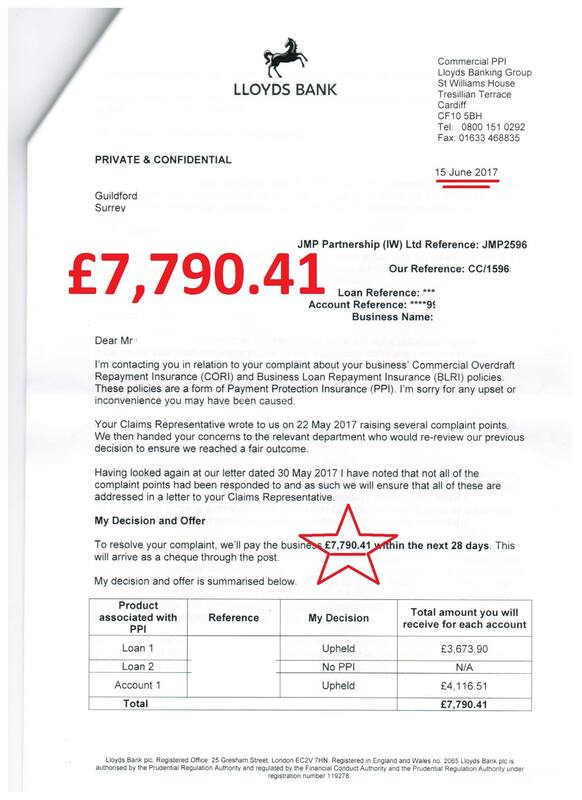 We also recovered a further £2700 for this client in respect of policies with MBNA and Natwest with other cases still pending. 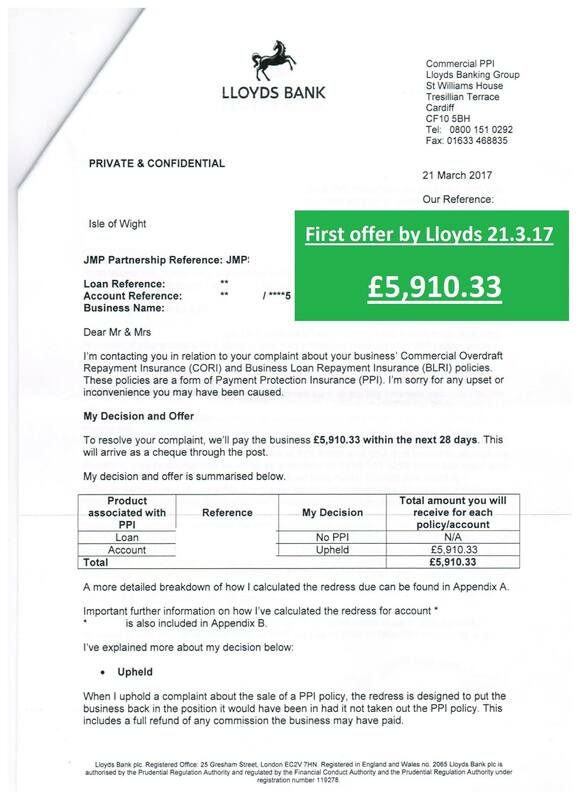 This is yet another case where our client approached Lloyds in 2014 only to be told they had no record of any policy being sold to him. He approached us after reading a story in the press about how we had recovered BLRI and CORI for consumers who had been told by Lloyds they had NOT been sold these products. £14,287.74 has already been paid in respect of these products but a further £4400 has been paid in respect of other products, some sold by Lloyds. Other cases are still pending at the Financial Ombudsman Service. This is another example where a complaint raised in 2014 was not properly investigated and following a review in 2016 the client was paid and additional £3,216.86. He’d already been paid £49,000 by Lloyds and several other firms following work we had carried out on other cases. on a NO WIN NO FEE* basis, then CLICK THIS LINK, then fill in the form and we will get the paperwork out to you. * regulatory statement. no win no fee agreements include a cancellation clause.